Post No.1328; Dated 4th October 2014. 1.Tamil and Sanskrit literature say that the kings took great pride in melting the enemy kings’ ornaments, coins, crowns, pedestals, foot stools etc and put them under the kings’ feet. 2.Indians wrote everything on tree barks and palm leaves which didn’t last for more than few centuries. 3.People followed their kings in melting everything and making new ornaments. 4.Above all, the climatic condition of India was dead against preserving anything. Taking all these into account, I came to the conclusion that wrestling originated in India around 3100 BCE but left proof only in literature. The proof is in the Vedas, Ramayana, Mahabharata and Sangam Tamil literature. 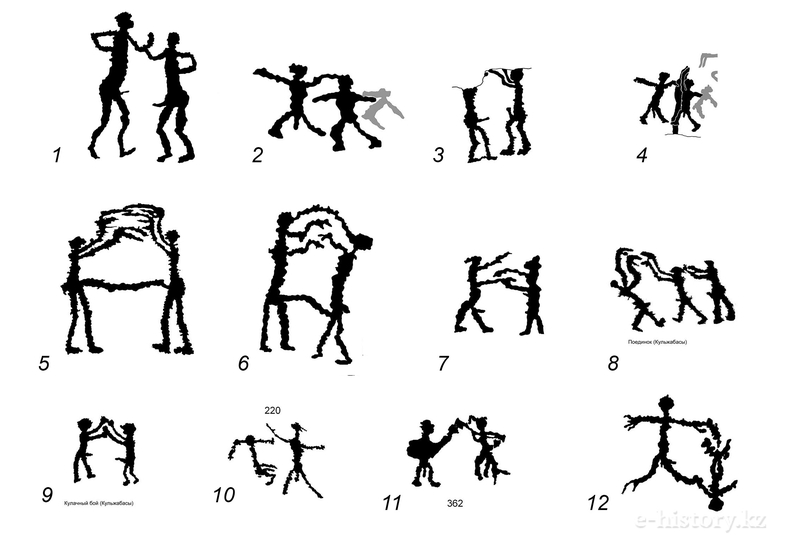 We have a graphic description of the fight between Kichaka and Bhima in Mahabharata. Bhima had fight with several people according to Mahabharat. 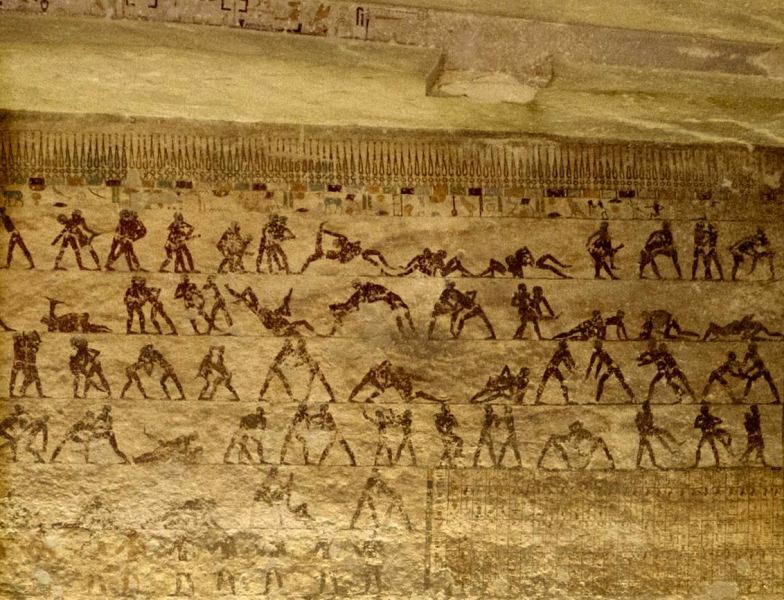 One may wonder whether these were actual wrestling fought according to the rules or barbaric attacks. I will say that they were organised fights. But one must accept the date of Mahabaharata war. Hindus believe that it came to an end around 36 years before the Kaliyuga began in 3100 BCE. Big seminars and workshops addressed by eminent scholars said that the war was fought around 1500 BCE. There is a big gap between the traditional date and the date suggested by the scholars. But we have Dwandwa Yuddha (One to one; face to face) fights in Ramayana which happened before Mahabharata. Vedas have reference to Mushtika wrestlers. Kamsa sent trained wrestlers Chanura, Palamba and Mushtika to kill Krishna and Balarama. They were all killed by the Yadava brothers. The description was very clear about how they were thrown off the ground. Balarama held their feet, swung them over his head and threw them and one of the wrestler’s body was hanging on the tree. Kichaka was troubling Draupadi who worked as a servant maid during the incognito period. She could not tolerate him and devised a plan with her brother Bhima who worked as a cook in the same place. She enticed him in to a trap where Bhima was waiting. A big fight followed and Kichaka was killed. We have very clear references to organised wrestling in Sangam Tamil literature which was at least 2000 years old. It says that those wrestlers came from the North. We have traditional stories about Brahmin wrestlers (Jyeshti Mallas) of Gujarat, regular wrestling schools in Maharashtra towns in the olden days. 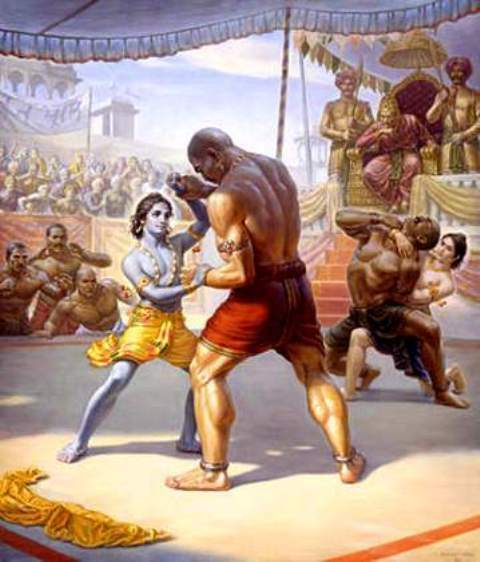 Musti-han and Musti-hatya in the Rig Veda and Atharva Veda denote respectively the hand to hand fighter. But these are mentioned in the context of wars (RV 5-58-4, 6-26-2 and AV5-22-4). One of the wrestlers killed by Balarama was Mushtika! 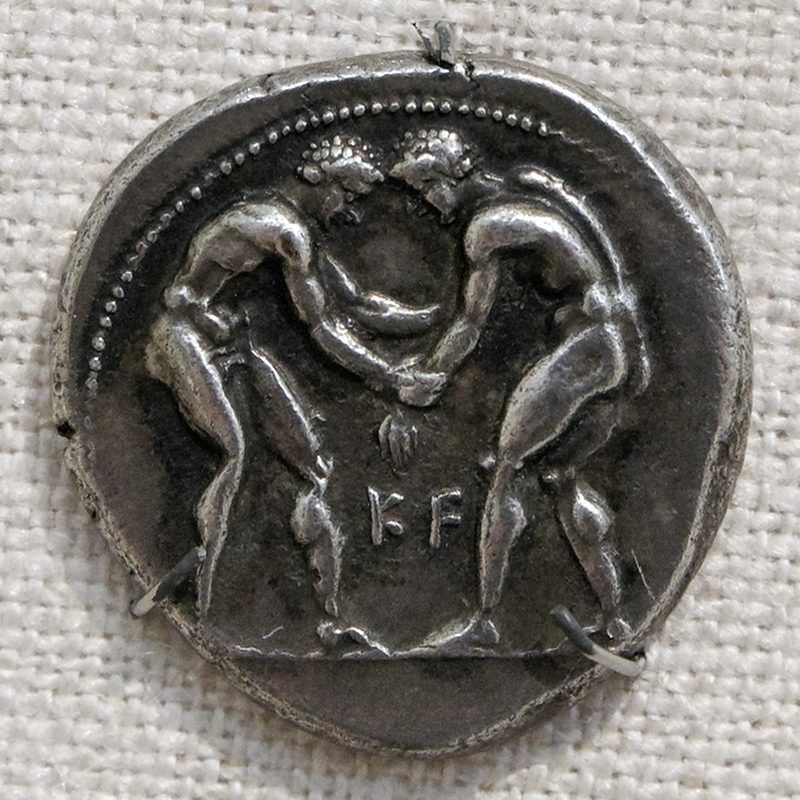 References to Tamil wrestlers are available from Sangam literature belonging to 1st century CE to 3rd century CE. Pura Nanuru verse 80 by Sathanthaiyar described a fight between Killi and Amur Mallan. Killi broke the wrestler’s leg like an elephant breaking a bamboo tree under its foot. Banan was a famous North Indian wrestler. He had another North Indian wrestler friend by name Khatti. Both of them came to Tamil Nadu and challenged the wrestlers. Chieftain Kanaiyan had another wrestler by name Aryan Porunan. He also came from North India. This clearly shows that all the famous North Indian wrestlers were visiting Tamil Nadu or serving Tamil chieftains. A wrestling match was organised between Arya Porunan and Banan and it ended with the death of Arya Porunan. His body was cut into two parts according to the famous Tamil poet Paranar (Akananuru 386). Because of this glorious victory both Banan and Khatti were encouraged to challenge every one. They went to Uraiyur, the capital of Choza Kingdom to challenge Thithan Veliyan. Even before they entered Uraiyur, they heard big drum beats celebrating the victories of Thithan Veliyan. They got scared and ran away. These anecdotes were described in great detail by Paranar in several verses. There are many more references to sword fight and wrestling. 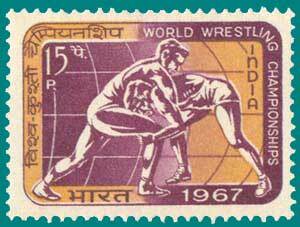 We have references to wrestling as a sports competition in Paripatal 12-72 and Aka Nanuru 386. 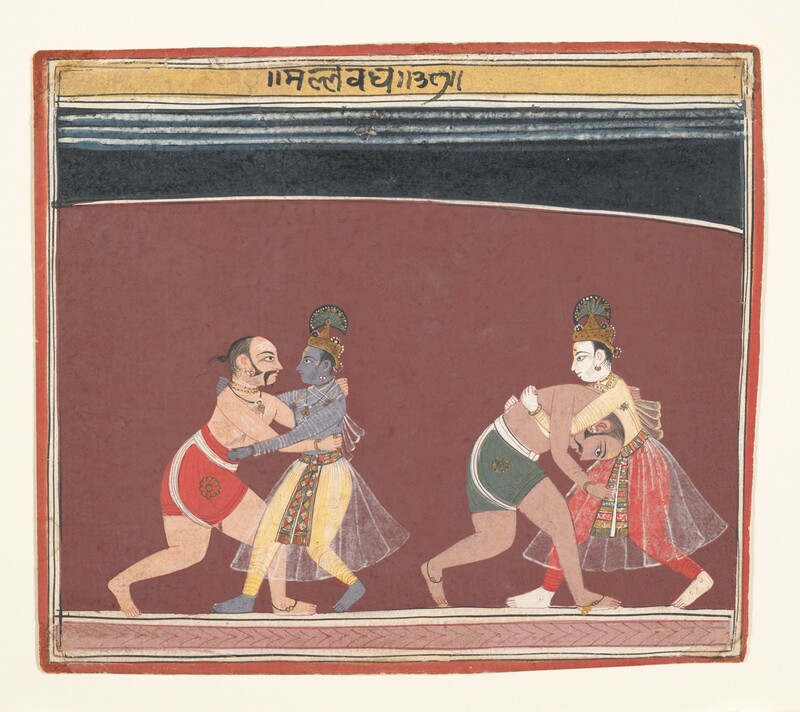 Literature belonging to later periods such as Perunkatai (52-3115) and Silappadikaram 16-198; 16-73) described the sceneries of wrestling matches. The match was announced by beating the drums. King, women and others gathered to see the match. Tamil epic Silappadikaram described one bout looking like a fight between two elephants. Many wrestling schools in India are named after the legendary hero Bhima. Kushti, Pailwan, Malla are some of the words used from Kashmir to Kanyakumari.